No! 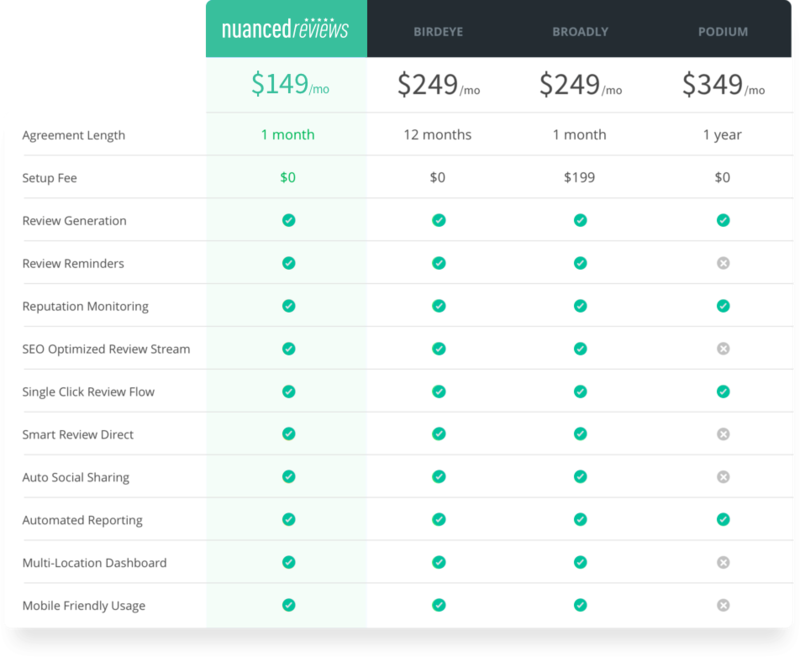 You have a full 7 days to trial with Nuanced Reviews without being charged a dime. If you decide to cancel, please log into your account to avoid being charged at the end of your trial. We offer a 20% discount for annual plans! If you enter in customers on day 1 of using Nuanced Reviews, you should see reviews start coming in on day 2 and 3. Typically, our clients see reviews come in within 24-72 hours of entering in customers. Clients of ours that use our tool daily, also see new reviews come in daily. Our typical client sees between a 15-20% Review-Conversion-Rate. From there, it is simply a numbers game. The more customers you enter into Nuanced Reviews, the more reviews you will get. It is that simple.